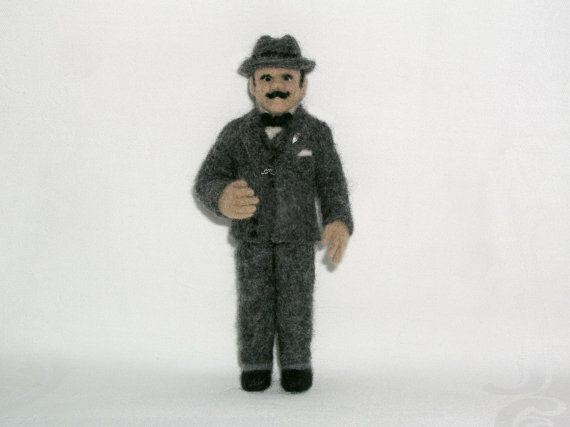 Check out these meticulously made Hercule Poirot and Miss Marple dolls made out of minikin felt. 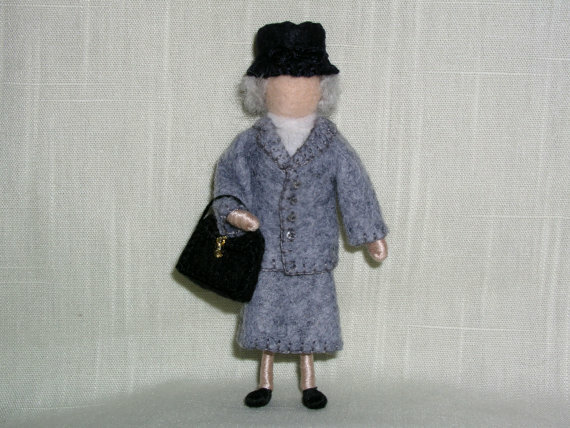 These dolls are made to order and as you can see there are plenty of choices. 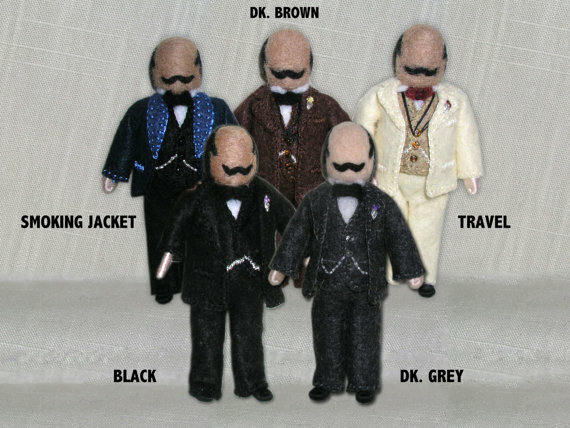 The detailed face in the doll above is more costly running at $140 and the dolls with just the mustache at $49. They are little wool cells of art. These are so amazingly detailed. Wow! I know. They mist take forever to make.